I am in serious denial about the fact that it is kind of just about almost time for winter breakfasts. Even though I’ve finally said goodbye to iced coffee and it snowed (!!) in Brooklyn today. I am not ready for oatmeal. Oatmeal is a middle of winter sort of breakfast. 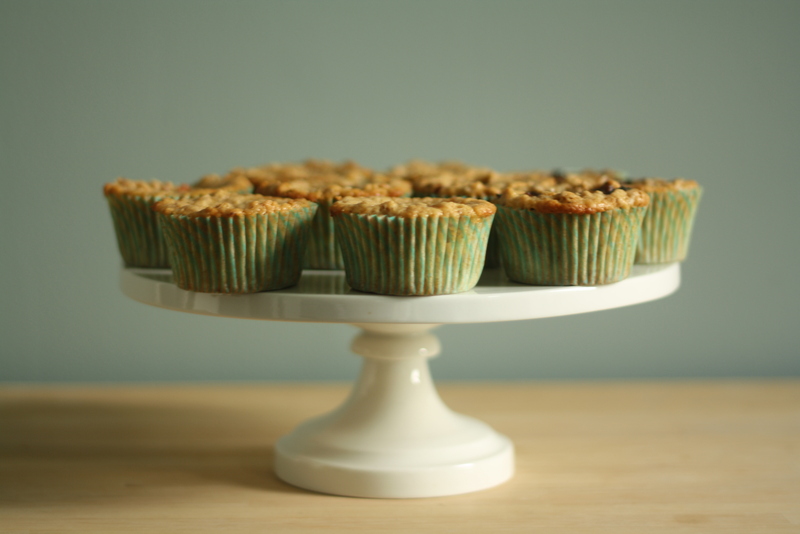 These muffins are like your transitional coat, you know, the wool blazer of breakfast treats. A compromise muffin of sorts. 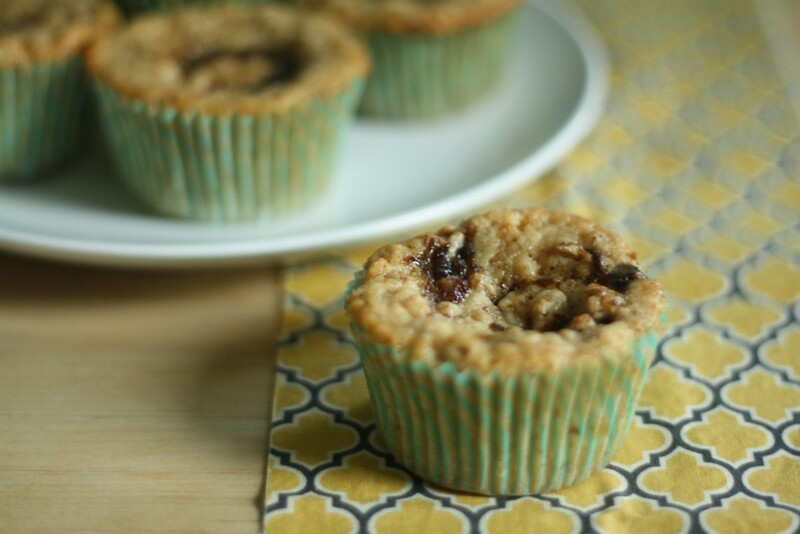 But before things get too weird, this isn’t just an oatmeal muffin. It is a toasted oat muffin. Can we talk about that for a second? 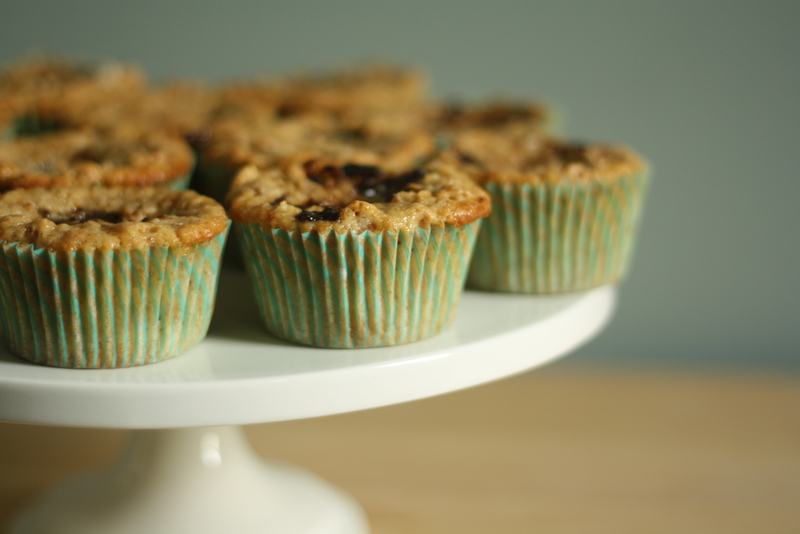 Toasting the oats gives these muffins extra special flavor. You have to preheat the oven anyways and just a few minutes in the oven is all it takes. The flavor intensifies, the color deepens and the oats really shine. 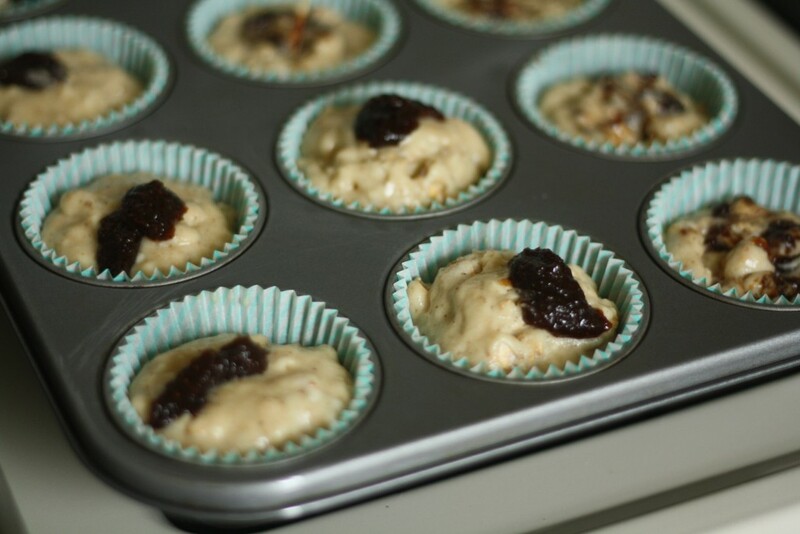 I used fig butter (a total impulse purchase) to swirl into these muffins, but any jam would be a perfect substitute. It is also a great way to use up that last little bit from the jar that is hiding in the back of your fridge! Preheat the oven to 375. 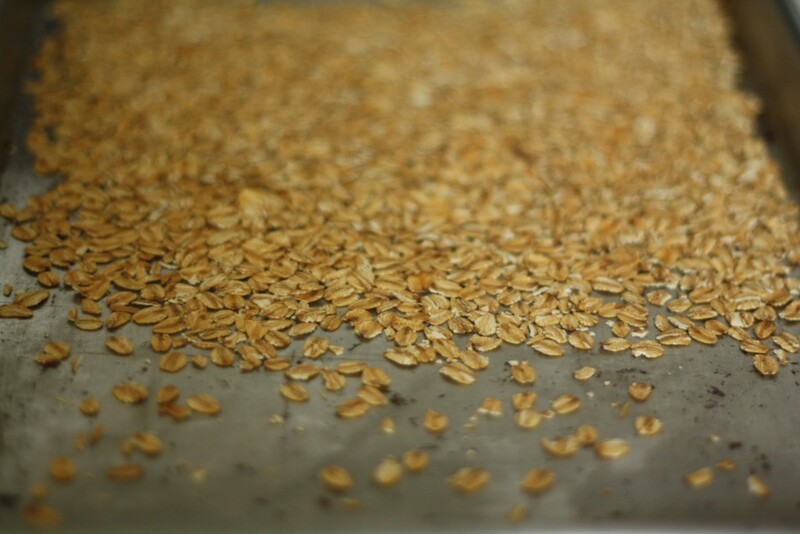 Spread the oats on a rimmed baking sheet and toast for about 15-20 minutes, stirring once or twice, until they are light brown and toasty. Grease or line a muffin tin and set aside. 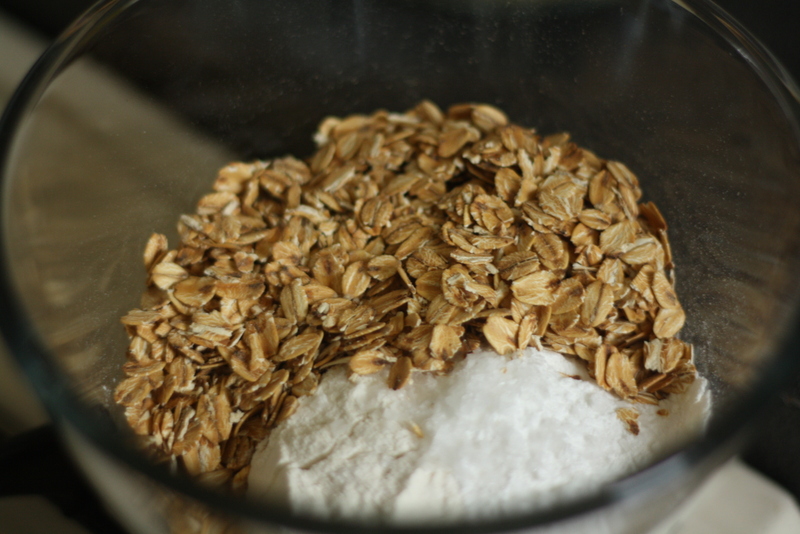 In a medium bowl, whisk together the oats, flour, baking powder and salt. Whisk the egg in another bowl. Add the sugar and then the butter, whisking after each addition. Add the buttermilk in two additions and whisk until just combined. Add to the dry ingredients and fold until just mixed. Scoop in to the prepared pan and top each muffin with about 1 teaspoon of fig butter. 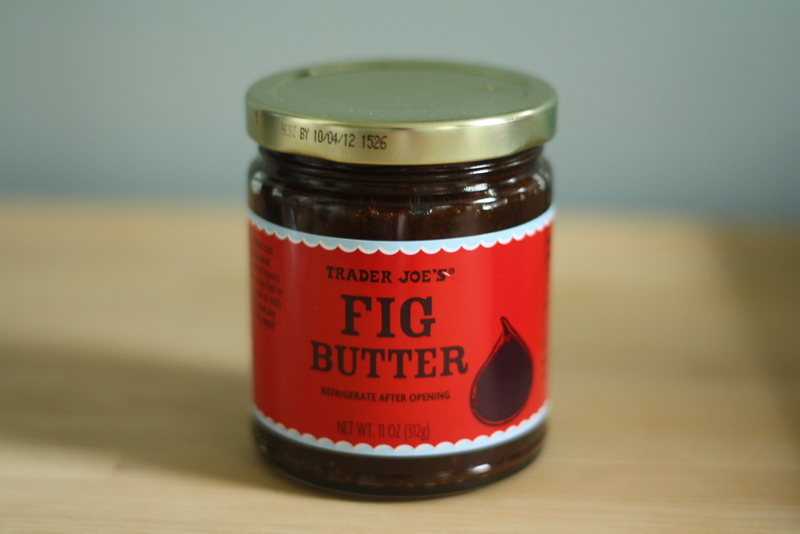 Use a toothpick to stir swirl the fig butter evenly in the batter. Bake 25-30 minutes, or until a tester comes out clean. I made a crock pot of chicken soup during the (crazy early) snow storm, but I’m going to bake these yummy-sounding muffins next. I think I could even get my 4-year-old to like figs this way. Awesome! Thanks. PS: lovely site – the photography is especially pleasing. Yay! Got to use your new “like” button! These muffins look perfect for a snowy morning treat. …made just for you! “Like” away my friend!